Your organization's culture is at the heart of your ability to recruit and retain employees. It's as simple as that. 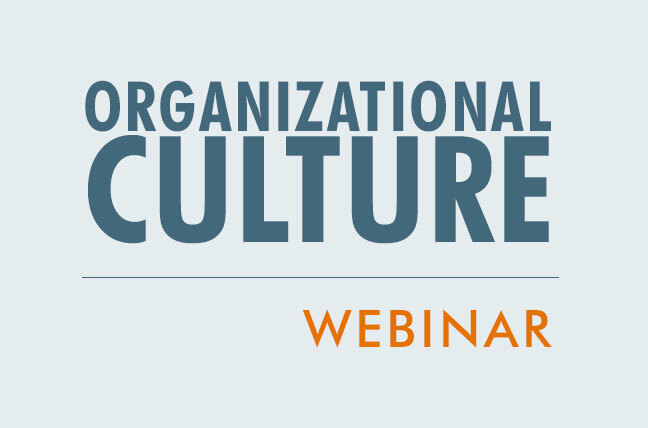 Organizational culture is the unique environment within each company, shaped by the values, perceptions, preferences and behaviours of the people who work there. Workplace culture is emerging as a make-or-break factor in hiring and retention for both companies and employees. Today’s in-demand professionals will unquestionably be scrutinizing your corporate culture and considering whether they want to be part of it. The bottom line is this: Employers need to continually refine their organizational culture to ensure they are providing the type of work environment top performers will be excited about and proud to join. A toxic workplace hurts employees, but it also damages business by driving away top performers. On the flip side, a company that inspires and rewards its workers is likely to thrive and create positive buzz. Download this report for more on why company culture matters and what you can do to build a great place to work. Organizational culture is the new currency for hiring and retention. The true differentiator for our company, as an employer, is our organizational culture — not the pay, benefits or perks that we can offer." Workers are unlikely to align themselves with an organization that doesn't share their values. Even if the job were perfect, 40 per cent of staff in Canada and 35 per cent in the U.S. said they wouldn't accept a position if the corporate culture were a poor fit for them. At the same time, companies need to pay attention to how well a potential hire would fit in their workplace culture. Employees who don't feel the organization is a good match are the most likely to leave within a year, according to Robert Half research cited in this report. And, as managers know all too well, sudden departures are a drag on productivity, team morale and the budget. How do you know if a candidate will fit your corporate culture? See the report for the questions you need to ask before you hire. How appealing is your organizational culture? Do job candidates often cite your company's culture as the reason for wanting to work there? Can your employees easily and clearly describe how they contribute to the organization's strategic goals and bottom line? Is there a buzz of positivity — even excitement — in your workplace? Do workers feel safe and confident enough to express their honest opinions? Do your employees constantly find new ways to improve processes and solve business problems? Do staff and managers treat one another with respect and courtesy? Is there a spirit of learning and continuous improvement in your workplace? Do you have a low turnover rate? Congratulations! Your workplace culture seems healthy. It may be time to revamp your company culture. Doing little or nothing to make your company a place where people want to work all but guarantees that you will struggle to hire and retain the talent your business needs." Some organizations are finding out the hard way just how important workplace culture is today. But even if your company doesn't have a cutthroat corporate culture, it never hurts to take a closer look at how you engage with employees. Whether your organizational culture needs a little touch-up or a major overhaul, you can do these four things — not quarterly or annually, but every day. Let staff know you have their back. Invest in employees' professional development. See the full report for more tips and information on how to apply them in your workplace.